Sounds like a puzzler, but it's actually a colorful music sim game! As long as there are mobile and free-to-play games, there will be celebrities starring in them. 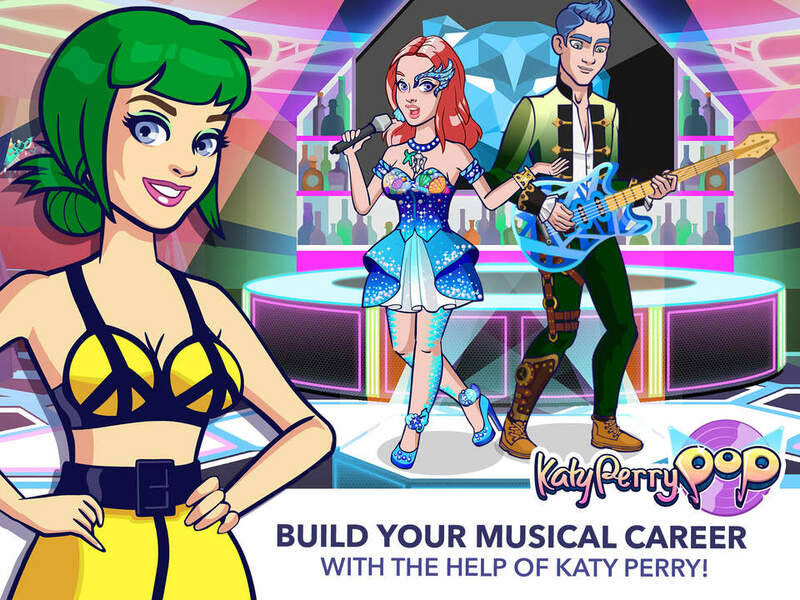 Glu Mobile isn't any different, having given Kim Kardashian one of her most popular ventures ever with Kim Kardashian: Hollywood, and now Katy Perry with Katy Perry Pop, a sim that's focused on tasking one aspiring artist with rising into stardom. It's Kim K's Hollywood all over again as the game goes into soft launch, as you aim to become a pop star under Katy's tutelage. Tons of flashy outfits, costumes, and other items abound as you put all you've got into becoming a star. You've even got to star in music videos and other promotional clips to build your brand. It looks absolutely adorable, and personally I can't wait to get my hands on it. Unfortunately, right now it's only available in Sweden, Norway, and Switzerland on the App Store. Don't mind me, I'm uh, trying to just figure out a way here to nab it before it reaches my area.